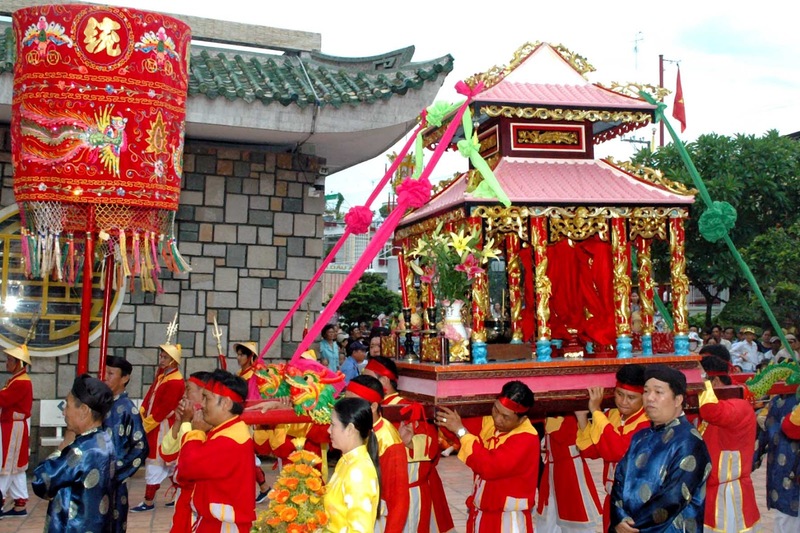 Vietnam has a lot of festivals and events throughout the year. They are held at a fixed time in the year associated with the cultures and customs of Vietnamese people in different regions. Most of them attract a large number of participants, even foreign tourists. Here are the three famous Vietnam tour events in three of the biggest festivals in Vietnam. Let’s plan for your Vietnam tours if you find them interesting! Long Tong Festival is a traditional festival of Tay people. It is held annually in January and February in the lunar calendar according to each region. It is aim of wishing for blessing, bumper harvests and a prosperous life. At that time, there are a lot of traditional folk games such as nem con, blind man’s buff, traditional singing and so on. Especially, nem con is a unique folk game which you should try once when joining this event. Through this activity, you can meet some new ethnic friends and learn from them their culture to enrich your knowledge about ethnic groups in Vietnam. It lasts from the 8th to 11th day of the third lunar month. It is celebrated to commemorate Kinh Duong Vuong, who became the first Vietnamese king in 2879 BC. All main events take place at Hung Temple which is located on the top of Nghia Loc Mountain in Phu Tho Province. At that time, 100 lanterns are launched into the sky on the night before the official festival. In the next morning, a flower ceremony is held at Thuong Temple where Hung King worshiped the gods during the reign. Finally, a huge procession departs at the foot of the mountain accompanied by singing xoan and ca tru along the road near Hung Temple. In particular, you can join in this procession to enjoy the atmosphere at one of the biggest events in Vietnam. 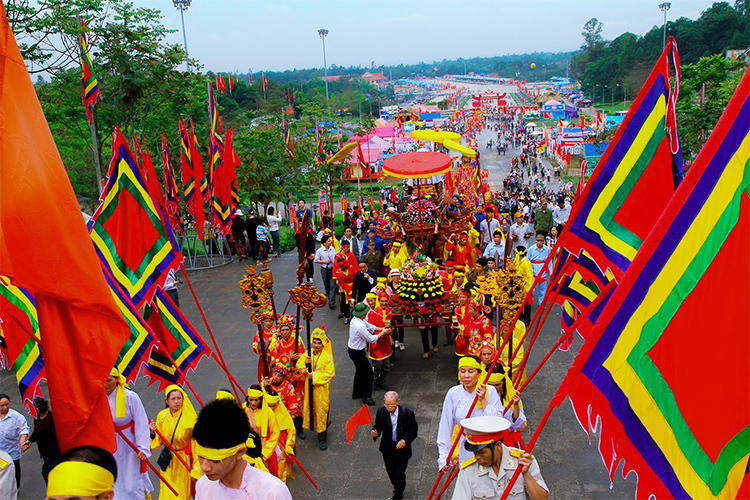 This is the biggest folk festival in the South of Vietnam. 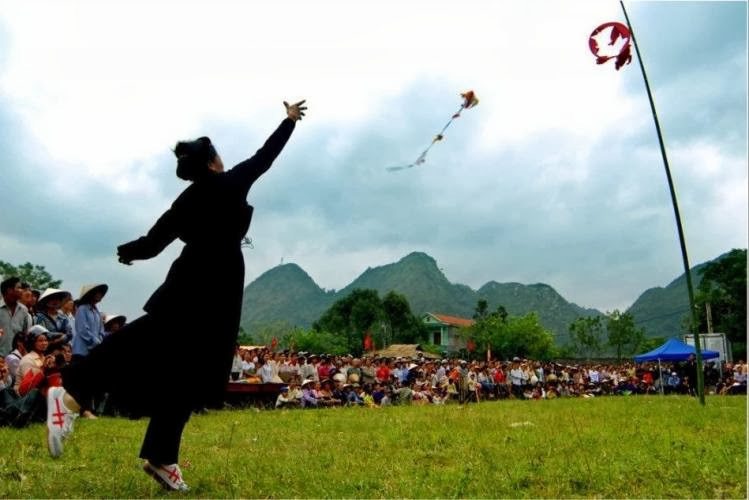 The festival is held annually, starting from the night of April 23rd and lasting to the night of April 27th in the lunar calendar at Ba Chua Temple in Sam Mountain, An Giang Province. During this event, there is a famous activity called “the ritual bath”. Specifically, the statue of Ba Chua Xu is taken down and washed by rainwater mixed with perfume. A lot of people gather together at the temple to see this activity at that time. Also, there are some other cultural activities such as dancing and singing during the festival. Participating in this event in your Vietnam tours, you not only discover the culture of Mekong Delta and ask for a fortune in your life but also have a chance to admire the beautiful natural scenery in Sam Mountain and other historical relics such as Thoai Ngoc Hau Tomb, Tay An Pagoda and so on. Besides the three above events, Vietnam still has numerous big and small events all over the country. Let’s get ready to discover these events one by one to see how unique and various the Vietnamese culture is.